Now Available on iOS, 7 Billion Humans! Whip out your iPhone and/or iPad! Text your boss and tell them you quit! And then navigate to the Apple App Store and download your steaming hot new game of 7 Billion Humans! YOU’RE HIRED! Available as a Universal App (which means a single purchase works on your iPads and iPhones). Automate your swarms of workers on any device with iOS 10 and higher. Begin your new career in any of 13 languages: English, French, Italian, German, Spanish, Dutch, Polish, Brazilian Portuguese, Russian, Traditional Chinese, Simplified Chinese, Korean, and Japanese. Download your fabulous new soundtrack here! More info, trailers, gifs, here! Thanks everyone, and happy programming! 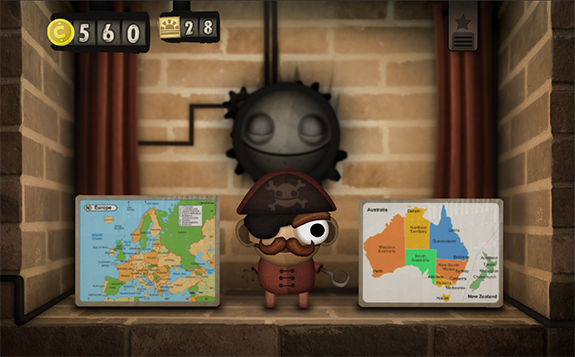 Wii U version now available in Europe and Australia! Also, this helpful FAQ. The Wii U released in Europe, Australia, and New Zealand over the weekend and is now taking those continents by storm. Did anyone manage to get one? Since we don’t have a European Wii U we haven’t seen Little Inferno looks on the eShop, but I imagine it’s slightly more sophisticated. Probably due to the fact that it’s available in 5 languages. In other news, if you’re playing the PC version and want to change your language, vsync, or audio settings then go to this useful FAQ. IS this how I leave a comments? I'M ON THE INTTETERNET NOW! I likeed your Nintendo PWOERRR. Wiiii U and Nintendo PWOER are pretty fun. LItttle Inferno is pretty much my favorte game. Even though it doesn't make any sense. Buy stuff and thrrow it in a fire and get more money to buy more stuff? 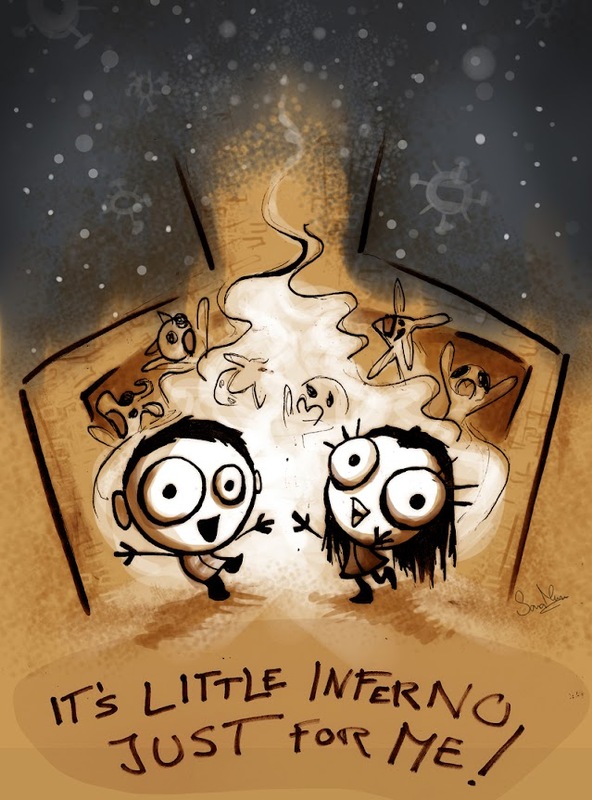 We’ve hardly released any info on Little Inferno, so we were especially amazed to discover such a fantastic piece of fan art exists! Created by illustrator Sara Mena. UPDATE: Thanks, it appears we also missed Mark H’s massive furnace here! Little Inferno‘s first teaser and info on the beta program just appeared over here! It’s getting chilly, stay warm, everyone. Thanks for all the notes and questions the last couple weeks! We’re still putting together a handy FAQ, so post any questions here and the Tomorrow Corporation interns will make sure to get them answered and appropriately diagrammed.